From the Beginning to How We Got to Today! Daniel Rowlett led a small immigrant company of several families from Kentucky to Texas in 1835. They settled in the Tulip Bend area of the Red River near present day Bonham. For military service performed during the Texas revolution he earned a land grant located in Collin County, near present day Allen. A large creek ran through the land and came to be known as Rowlett’s Creek. Daniel Rowlett became a leading citizen of Fannin County and never lived near the creek that bore his name. Rowlett is buried in the “Old Inglish Cemetery” in Bonham. The area now known as Rowlett was divided between two immigration companies: the W.S. Peters Colony and the Charles Mercer Colony. The Peters land was west of Rowlett Road. The Mercer Colony, while generally south of Peters, held a strip of eastern Dallas County east of Rowlett Road. American settlers began moving into this area in the 1840’s. Dallas County was organized in 1846. French and German speaking settlers began arriving in Texas as early as 1844. They started colonies in central Texas before moving to the north in the 1850’s. The first post office was opened on April 5, 1880 and was named Morris for Postmaster Austin Morris. The name was later changed to Rowlett, recognizing Rowlett Creek, a major tributary of the east fork of the Trinity River. Railroads began to spread westward after the Civil War bringing new waves of settlers. The roots of many Texas towns were a railroad and a cotton gin. 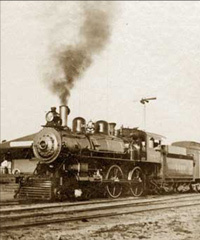 The Greenville & Dallas Railroad reached Rowlett in 1889. By the turn of the century, Rowlett was a thriving farm community, with many stores and services along with its own school and churches. In 1921 the Bankhead Highway, the second transcontinental paved highway in America, reached Rowlett. It ran from Washington D.C. to San Diego. 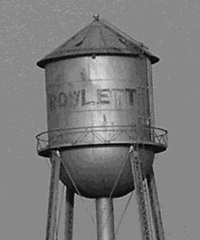 The city of Rowlett was incorporated in 1952 by a vote of 84 citizens. In the 1960’s Interstate Highway 30 was built providing a more direct route to Dallas, bypassing Rowlett. The completion of Lake Ray Hubbard in 1971 made Rowlett a lakefront community and growth became inevitable. From a population of 5,100 in 1978, Rowlett has grown to 50,000 today. We think you’ll enjoy calling Rowlett, Texas home!